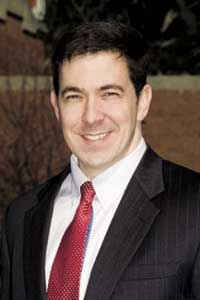 McDaniel: It is our responsibility to protect the Second Amendment. The political left has, once again, reignited a national debate over the Second Amendment’s application, reminding conservatives that they will never tire in attempting to erode the Constitutional rights of gun owners. Nevertheless, in a well-reasoned opinion drafted by Justice Antonin Scalia, the Heller majority expressly held that adult citizens, each of us individually, enjoy the right to keep and bear arms. In so doing, it concluded decades of debate as to whether the Second Amendment protects the rights of all individuals (the individual rights theory) or only those who are members of a militia (the collective rights theory). Clearly, controlling precedent repudiates Justice Breyer’s legal guesswork, while strengthening the rights of gun owners. And yet, activists propose that the addition of the amendment’s prefatory clause qualifies the rest of the wording by placing a limitation on the people’s right to bear arms. Such an argument, however, ignores the fact that the amendment was designed to guarantee, not impart, the unalienable right of individuals to keep and bear arms. Gun control proponents likewise fail to consider the textual certainties of Constitutional construction. In all six other provisions of the Constitution that mention “the people” the phrase refers to all members of the political community, not merely an unspecified segment or collective. Although the Second Amendment speaks to the historical need for a militia, its plain language demonstrates the function of the prefatory clause was not to qualify the right, but instead to show why it must be protected. Recognizing this fact, the Court has held that the prefatory clause serves to clarify the operative clause, but neither limits nor expands its scope. Contrary interpretations make little sense. Why would the Constitution’s drafters place a collective right into the middle of the most noble listing of individual rights ever recognized? Not only do the Court’s recent decisions benefit from textual support, there is no evidence from early common law that the right was intended to apply solely to active militia members. To the contrary, historical evidence demonstrates the founders’ unyielding dedication to an armed citizenry. In words and deeds, the Constitution’s contemporaries recognized the Second Amendment as an individual right essential to liberty. But times have changed, regrettably; and there will be continued demands from the left to curtail our liberties, however incremental. It is our responsibility to protect the Second Amendment, reminding bureaucrats that the government must not attempt to circumvent our rights with excessive firearm regulatory schemes. About Chris: Chris is an attorney, conservative commentator and a Republican politician in the Mississippi Senate who has represented the 42nd District, which encompasses part of South Mississippi, since 2008. He resides with his family in Ellisville, Mississippi. Democrats continue gamble with Medicaid benefits to push expansion agenda. House committee votes for $184 million in bonds to invest in infrastructure improvement.